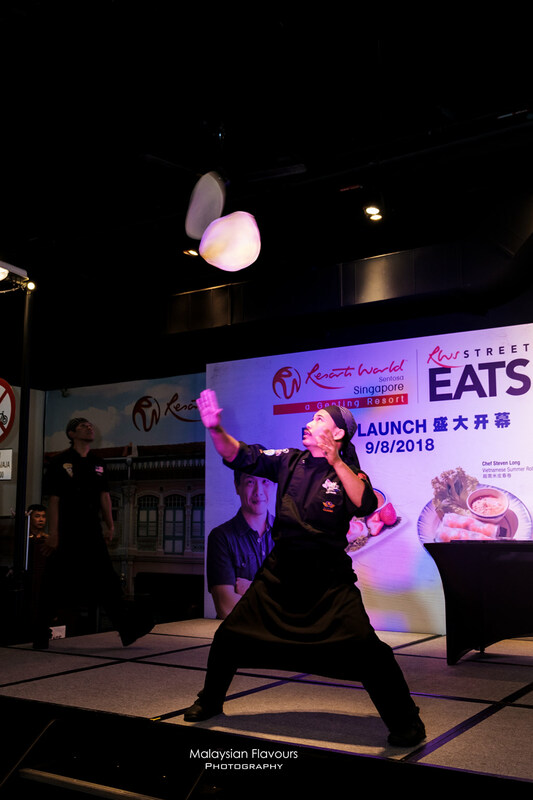 RWS Street Eats 2018 has started! 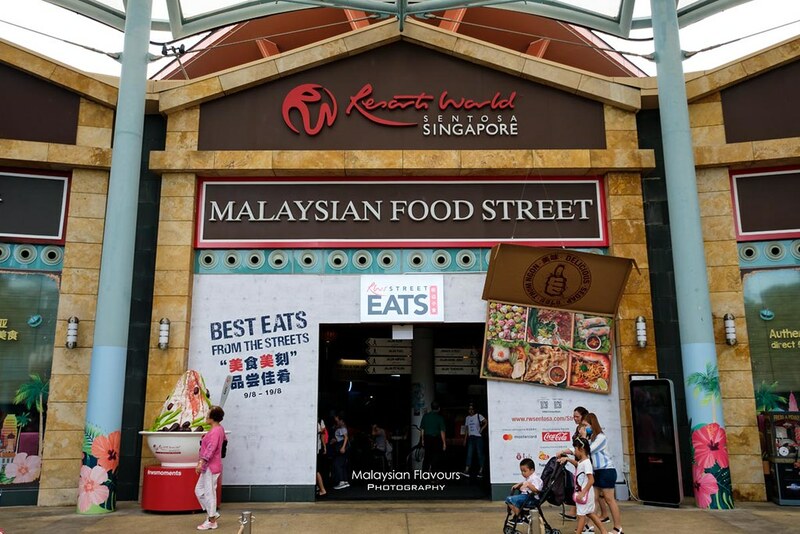 Head over to Malaysian Food Street at Resorts World Sentosa Singapore from now to 19 August 2018 and satisfy your taste buds with over 20 Southeast Asia’s most iconic hawker delights from Malaysia, Indonesia, Thailand, Vietnam and Singapore – all in one location! 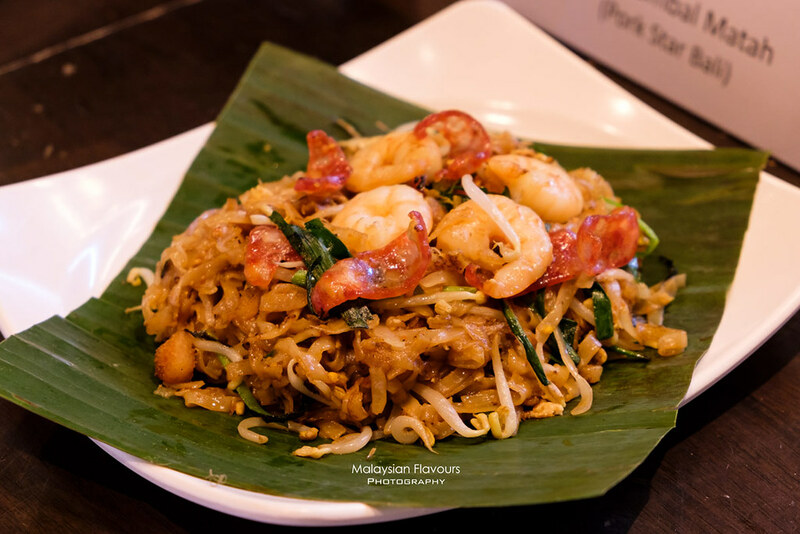 Whether your favourite Southeast Asia’s street food is Vietnamese Spring Roll, Pad Thai, Char Koay Teow, Roti Canai, Ayam Penyet, Pork Noodles,Vietnamese Pho or Hokkien Mee, RWS Street Eats 2018 will set to take you on a gastronomic journey of taste, available only for 11 days. 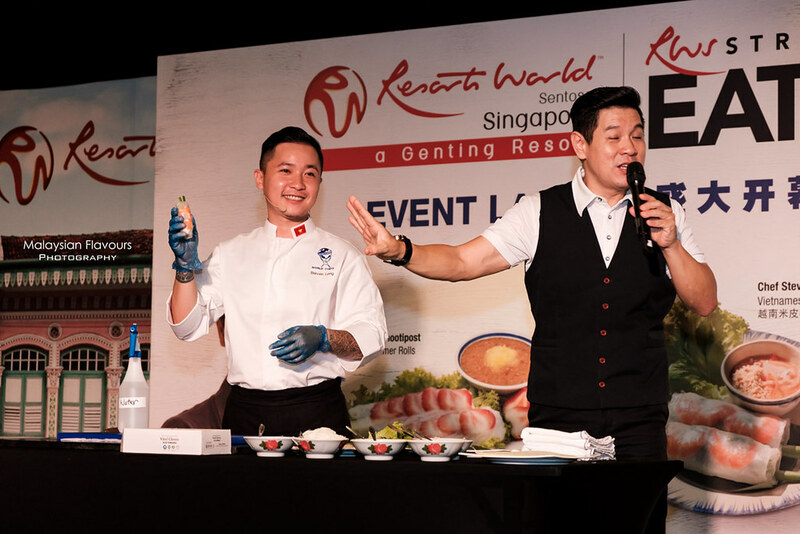 We were lucky enough to be in Resorts World Sentosa Singapore on 9 Aug for the media preview, joining the crowd for some of the best eats from the streets; and not to forget, cooking demonstrations by special guests from Malaysia, Vietnam and Singapore. 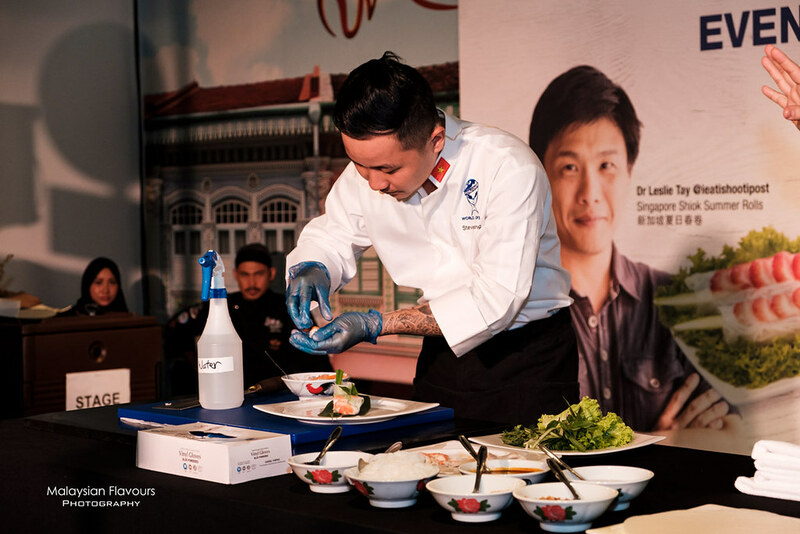 Chef Steven Long, acclaimed Top Chef Vietnam 2014 finalist presented the authentic way of preparing Vietnamese spring roll, wrapping in fresh veggies, rice vermicelle and prawns in Vietnamese bánh tráng, along with amazing sweet peanut sauce. 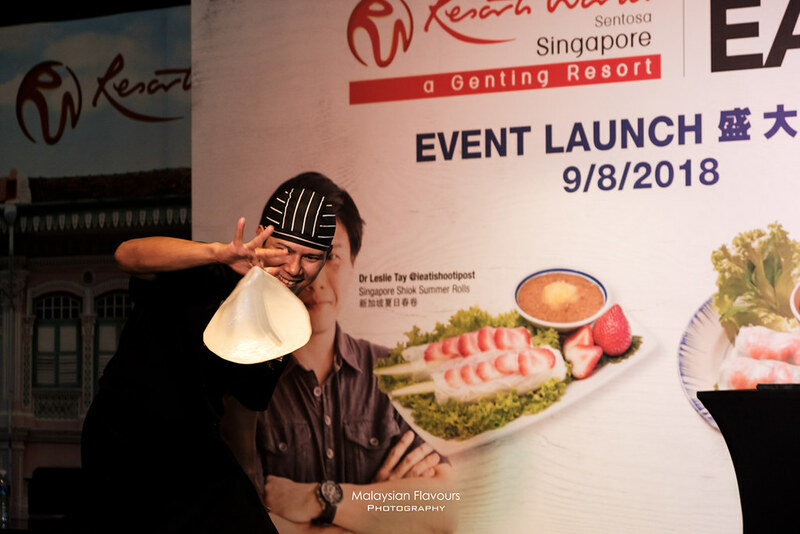 Chef Zainal Abidin, who is known across the region for his skills in making Flying Roti Canai, captivated the crowd with his “flips dan spins dough in the air” skills, together with Chef Mohd Fairus. 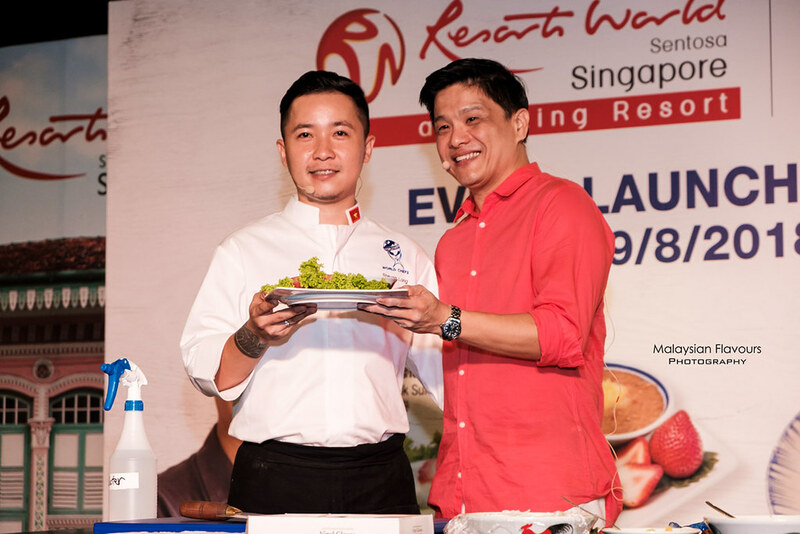 Street Eats invited Singapore celebrity food blogger, Dr. Leslie Tay to participate in the event and flew him to Vietnam to learn the traditional way of making Summer Roll. 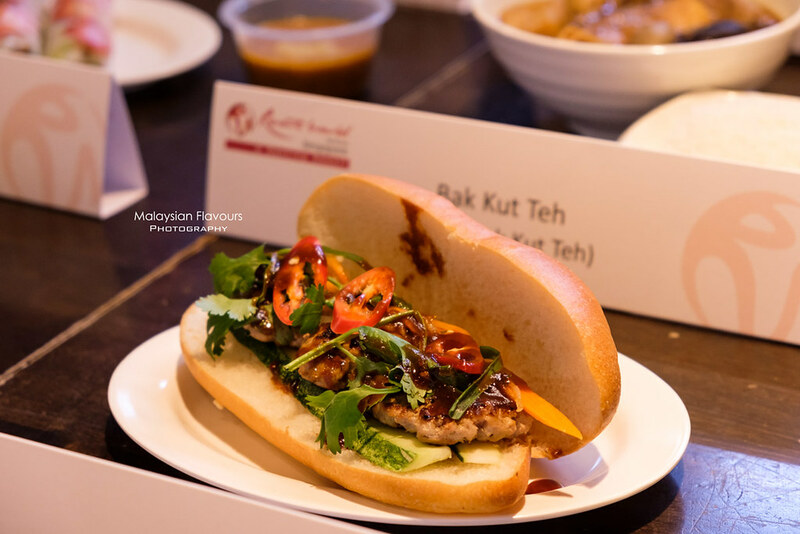 With the knowledge and skills acquired, he created his very own version of Vietnamese roll with a twist – putting in strawberry and satay pork belly! 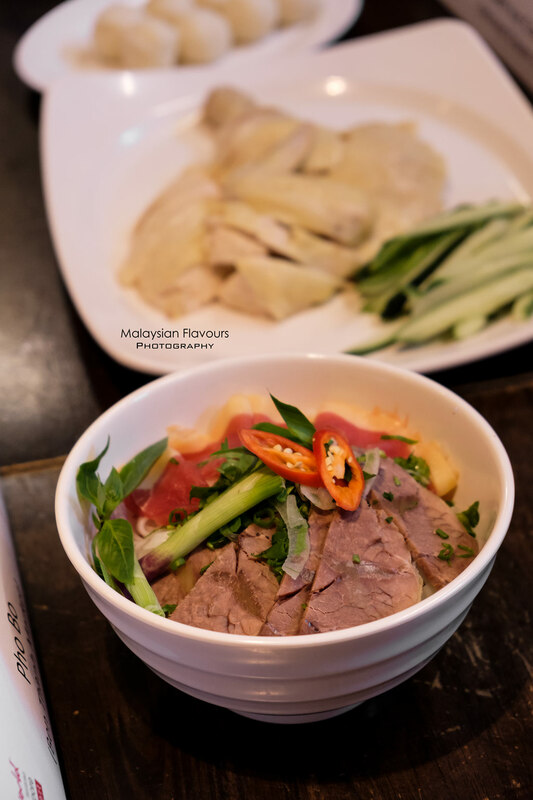 This is probably one of the most creative Vietnamese spring rolls we had ever tasted. 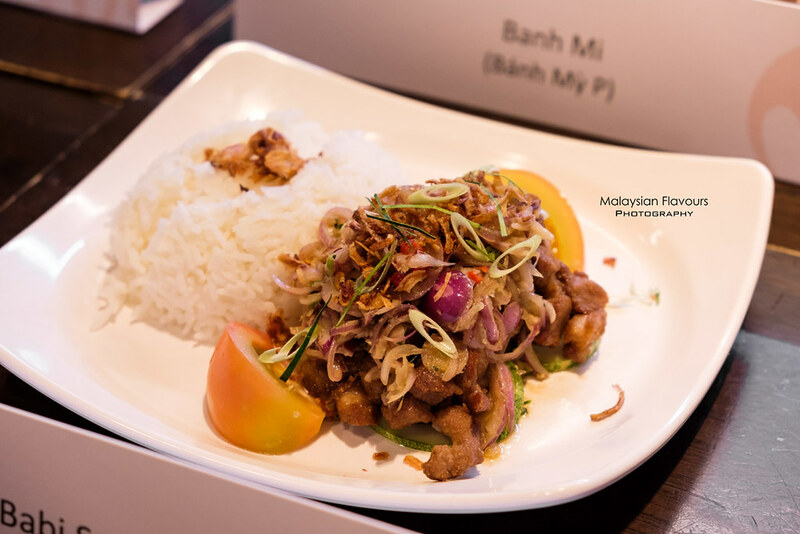 Love how the taste of flavourful marinated pork belly came through at the first bite, further balanced up by fruity, tangy hints of strawberry that clock in just nice. 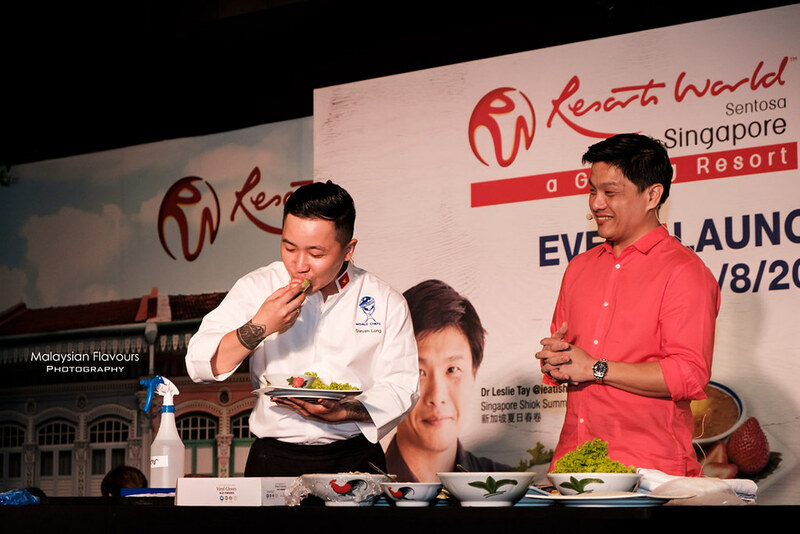 Best way to eat it as suggested by Dr. Leslie – use hand, no cutlery. 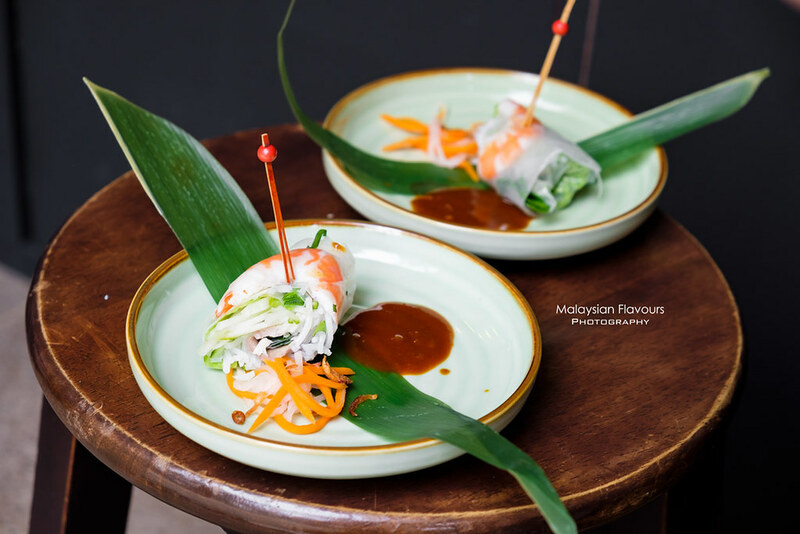 Dip with sauce, pop the roll into your mouth to enjoy the myriad of flavours and texture of Summer Roll in one go. 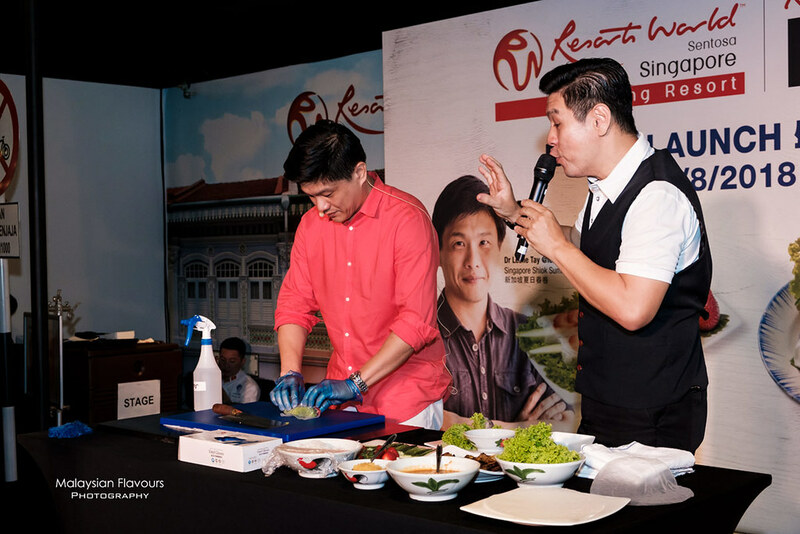 The touch of red from strawberry with white from rice paper sheet makes this Singapore Strawberry Shiok Summer Roll resembles the colours of Singapore flag – a very thoughtful gesture of marking Singapore’s 53rd birthday while celebrating diverse Southeast Asia flavours, because the first day of RWS Street Eats 2018 coincides with Singapore National Day! Time for food! 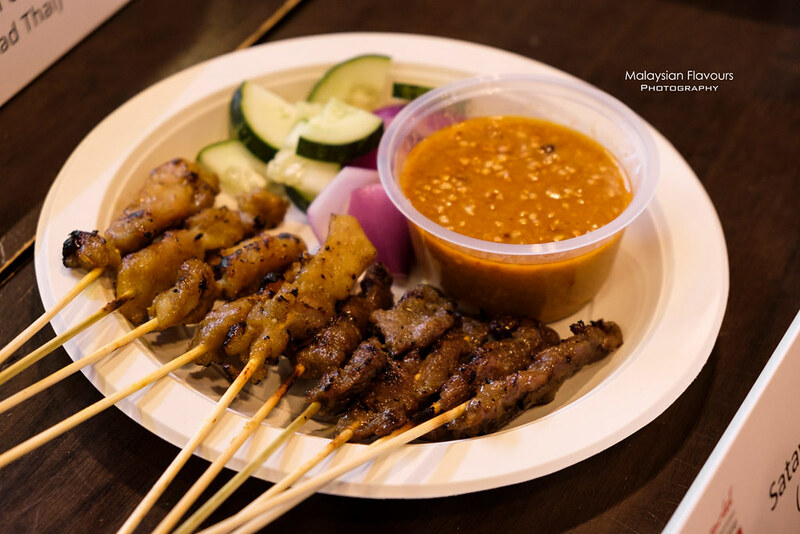 Let’s check out some of the top hawker fares from RWS Street Eats 2018. 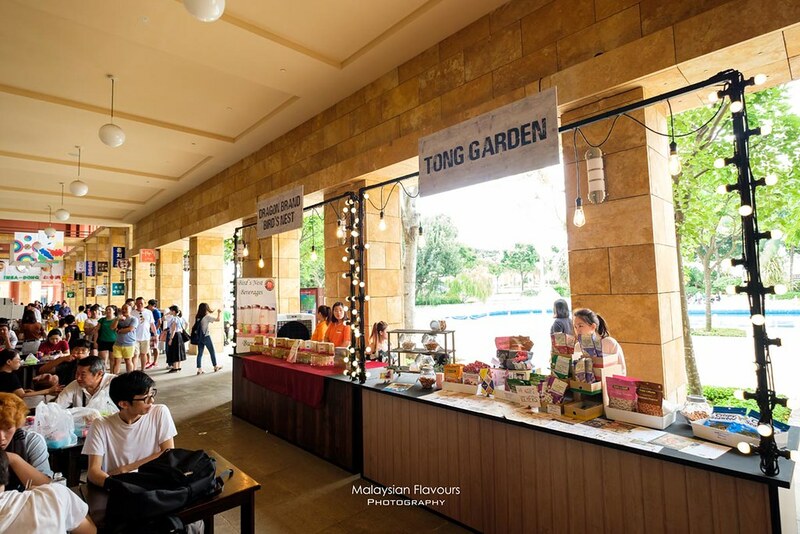 There’s a total of 29 stalls in the food festival. 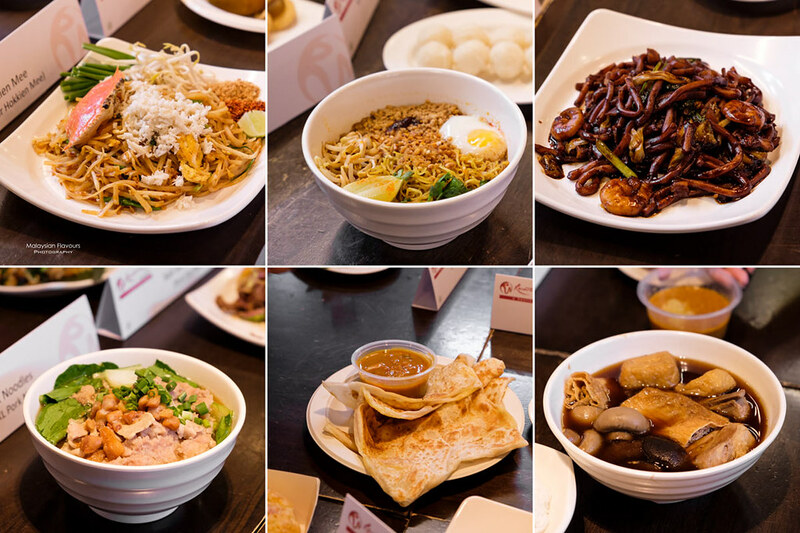 Find your favourite and dig in! 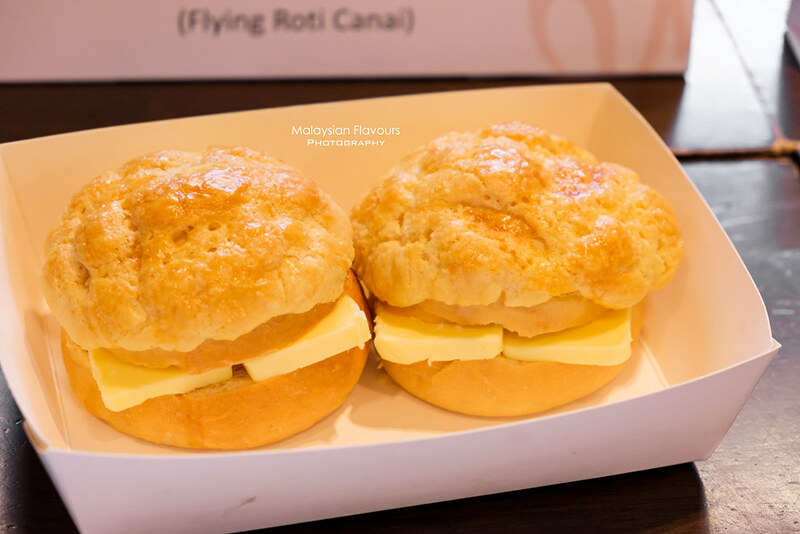 Walked through Tidbits Lane that lines up with stalls selling kueh, cupcakes, roll cake, pineapple tart and homemade biscuit, just to name a few. 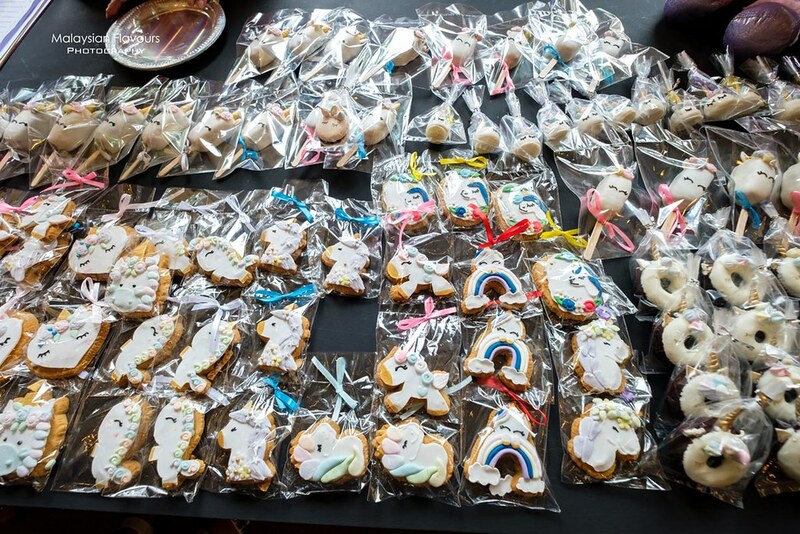 So much love for these Unicorn sweet treats from Euphorique SG! 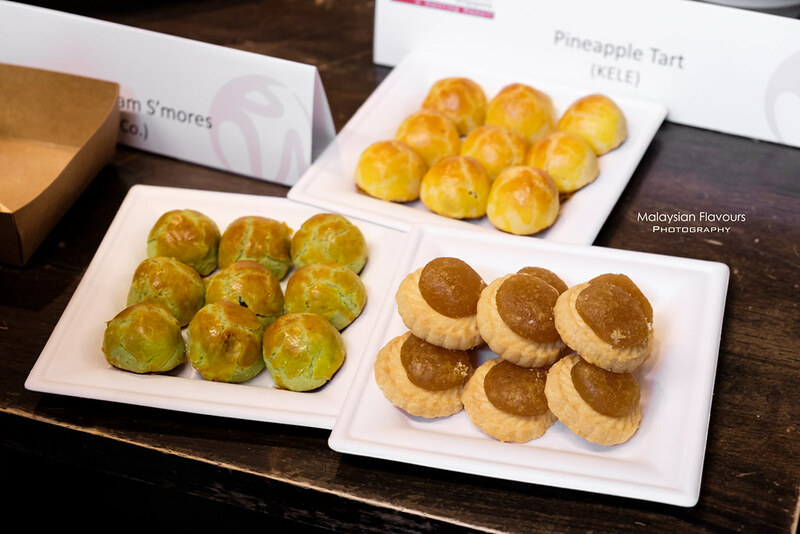 Buttery pineapple tart from Kele stall is nice too! 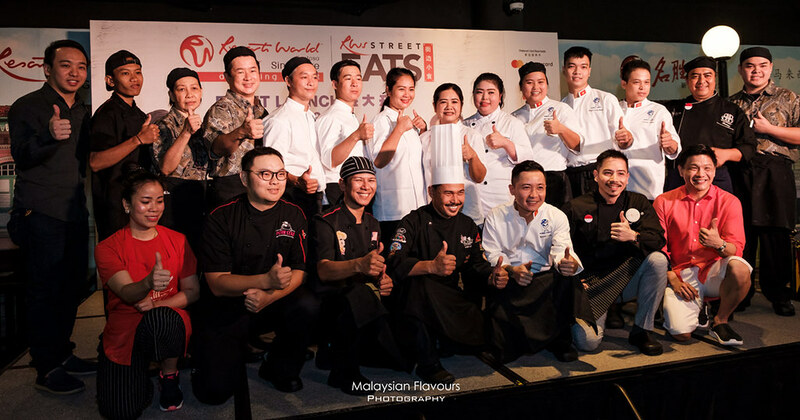 If you happened to be in Sentosa within these two weeks, do visit Malaysian Food Street and check out the event. 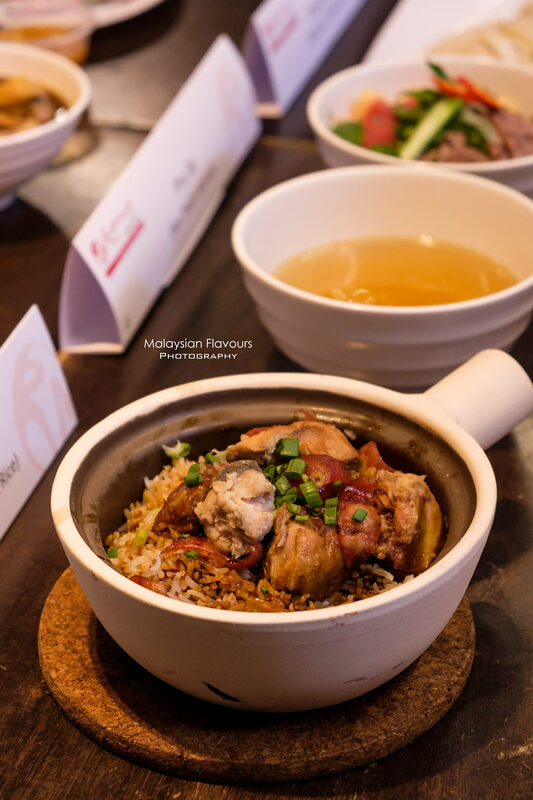 Our personal favourite from the RWS Street Eats 2018 are Dr. Leslie Tay Singapore Shiok Summer Roll, Char Koay Teow, Heun Kee Clay Pot Chicken Rice and Pork Star Bali Babi Sambal Matah. 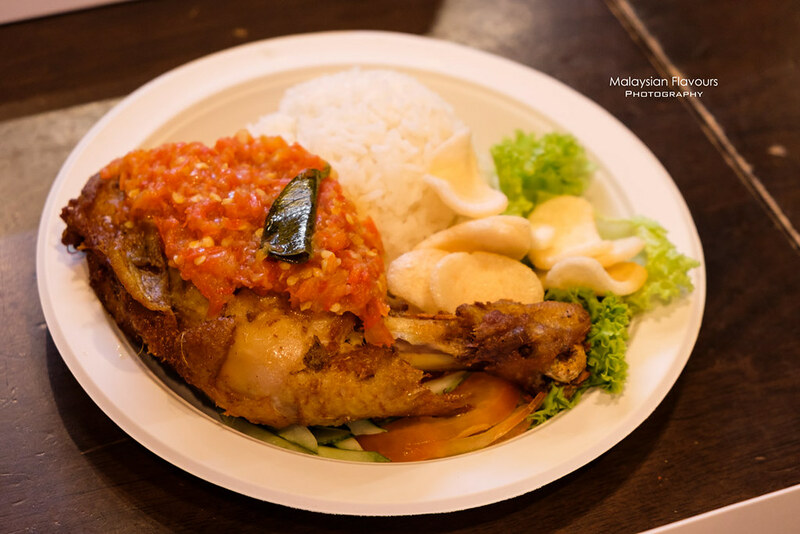 Opening hours: 11AM-9PM (Mon – Thu) 9AM – 10PM (Fri-Sun, Public Holiday) *Flying Roti Canai, Ayam Penyet Belado and Sempalit Curry Chicken are available daily from 9AM. All other stalls are available from 11AM.